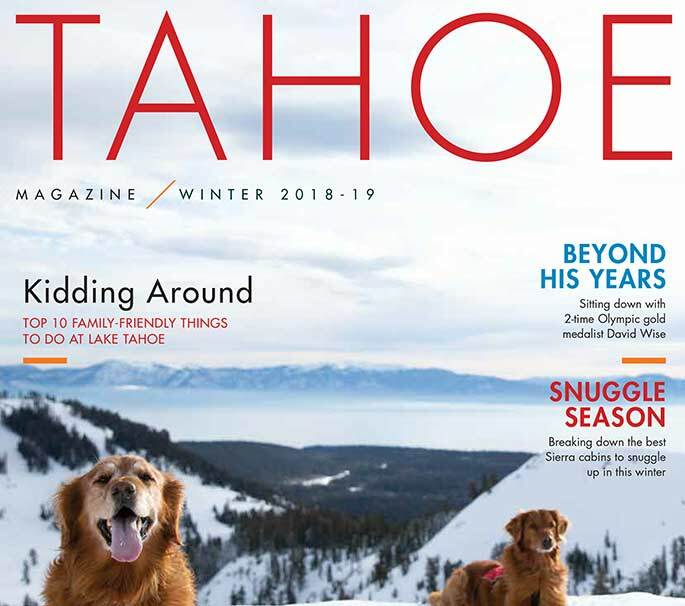 EDITOR’S NOTE: This article was originally published in the Summer 2018 edition of Tahoe Magazine. 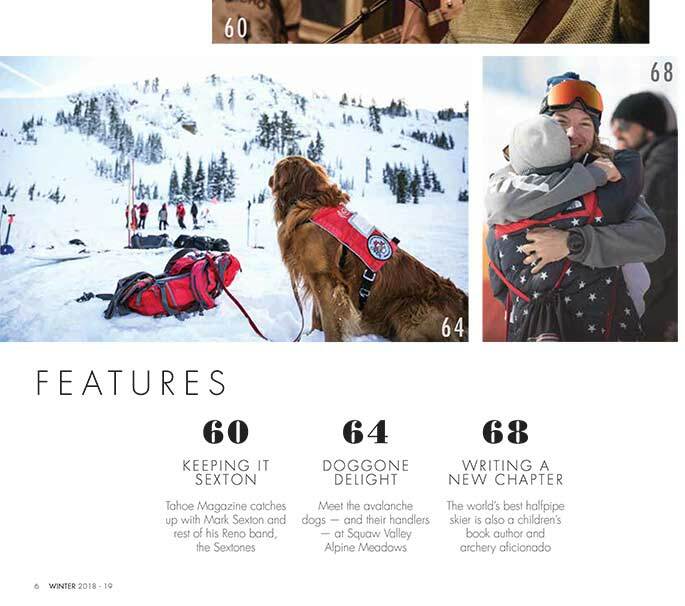 It was first published on this website in August 2018 and is presented in its original form. From May to September, dinghies and sloops can be seen slicing through the wind-churned afternoon waters of Lake Tahoe. 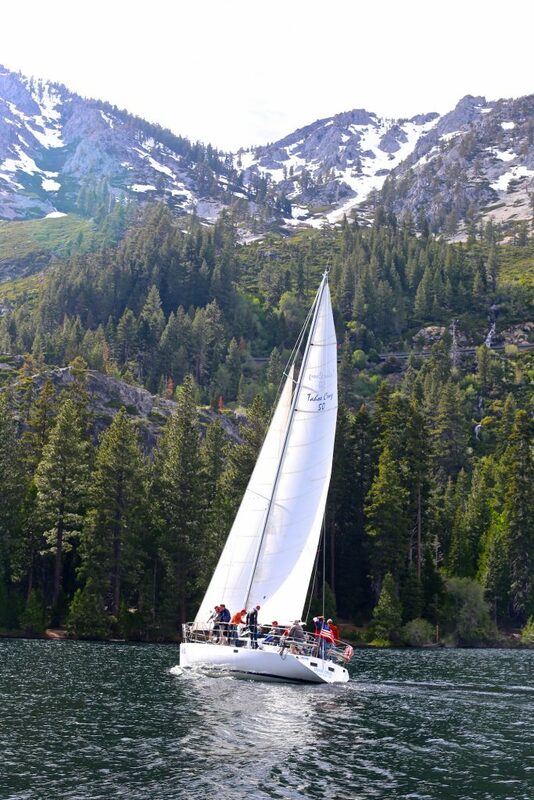 Marked by ideal conditions many days of the summer, sailing on this jewel of the Sierra requires prodigious skill — but it’s an iconic, and some would say crucial, component of any summer vacation in the region. 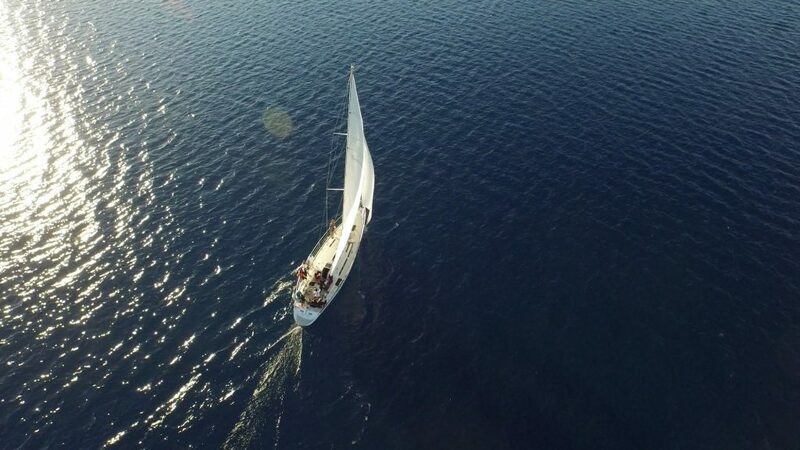 Spending a day on the clear waters of Lake Tahoe in a sailboat is a unique experience, as it offers both ends of the watersports spectrum: Participants can choose to take it easy and cruise, or go for the high-intensity option of racing. It’s a feat that’s a must-try this season in the Sierra Nevada, and one that long-time sailors of Lake Tahoe cannot help but recommend. To Salvo, the quality of getting on a boat like the Tahoe Cruz is unlike anything one would find elsewhere. Tahoe Sailing Charters offers cruises perfect for those who merely want to get out on a boat and enjoy the ride. 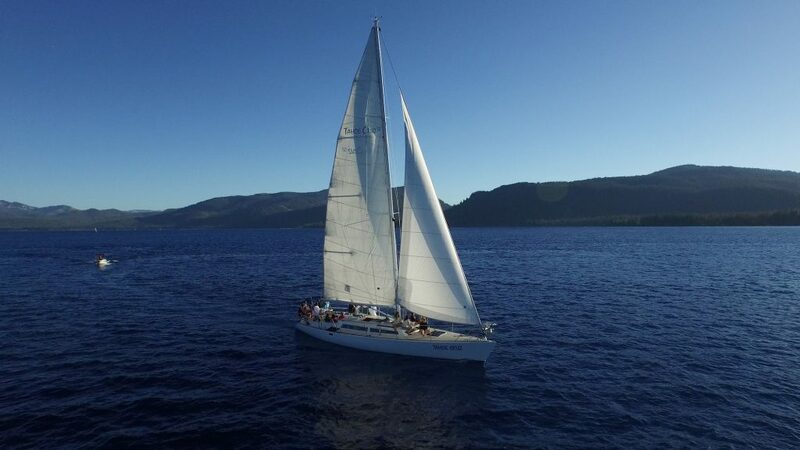 The 50-foot Tahoe Cruz was originally made for racing the Transpac Regatta, a journey from Southern California to Hawaii, but now finds its home hosting two-hour cruises on Lake Tahoe. The Tahoe Cruz accommodates 27 people, and offers afternoon and sunset rides that feature unique views of the region each day of the week. 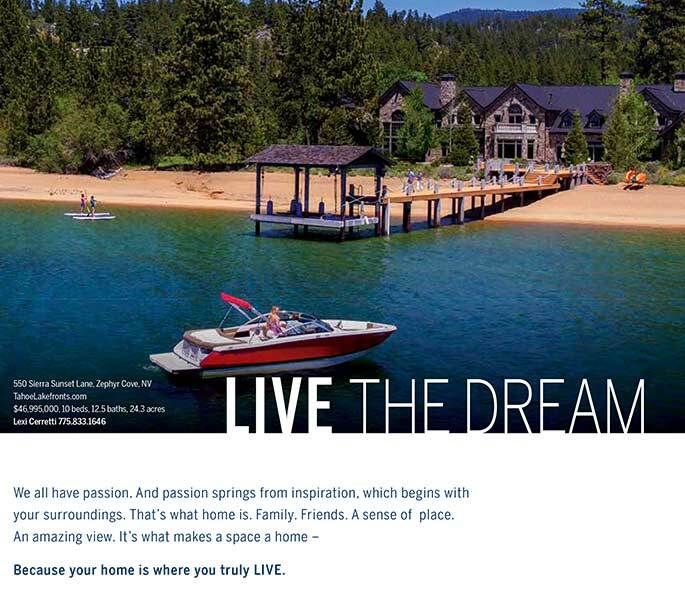 Tahoe Windjammers Yacht Club commodore David Young echoes this sentiment. “It’s a very unique and beautiful venue; sailing up here gives you something different — it’s quiet, silent. We sailors go out and get in touch with nature,” he said. The South Lake Tahoe-based nonprofit Tahoe Windjammers Yacht Club hosts numerous races throughout the season. While many of the participants have been sailing for some time, the events are also open to those who want to learn and improve. Sailing conditions in Tahoe are regularly demanding, yet ideal, due to the temperature difference between the lake and the surrounding region. Regardless of your experience level, be sure to get out on the water during your stay in Tahoe this summer. 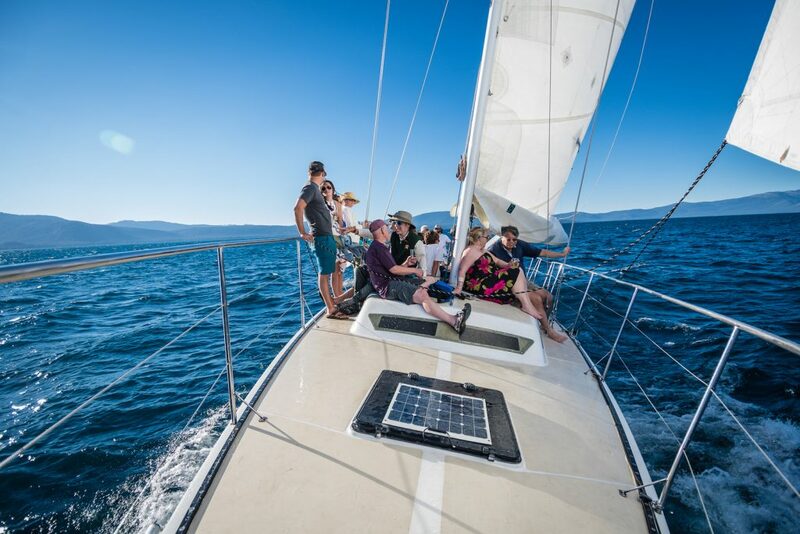 “Sailing on Tahoe, to me, is a no-brainer. If you’re coming up to the lake, do some hiking, mountain biking — any day activity — and round it out with a sunset cruise and dinner at a nice restaurant in town. It couldn’t be easier,” said Salvo. Autumn Whitney is a former reporter for Lake Tahoe Action and the Tahoe Daily Tribune and former contributor to Tahoe Magazine. Those embarking from the South Shore need to check out the iconic landmark, home to the scenic Fannette Island, located on the lake’s southwest shore. Lake Tahoe’s West Shore is characterized by smooth water despite strong winds — take it all in at this state park. This famous estate is located right on the water on the lake’s northeast shore, so sail past and be sure to snap a few pictures with your camera.